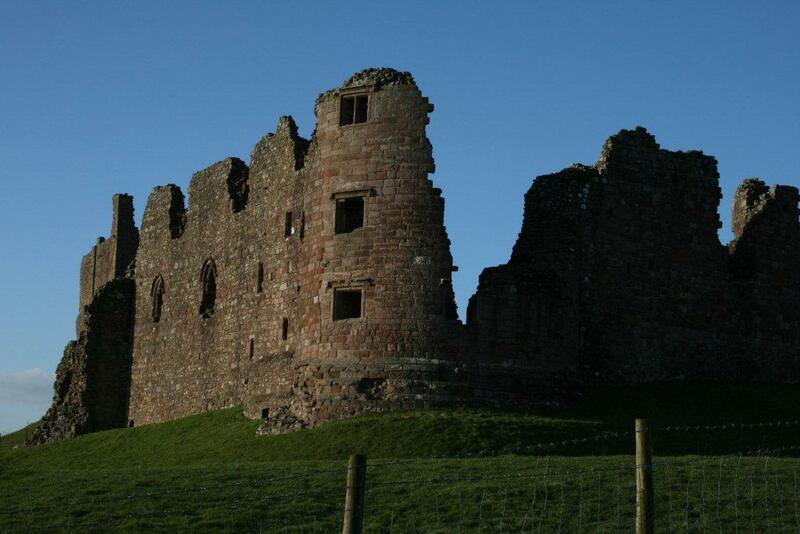 Brough Castle is a ruined castle set within the Lakeland village of Brough, Cumbria. The castle consists of a large mound, upon which there is an extensive range of buildings, with a circular corner tower, and the remnants of an older four storey keep. There is free parking available within short walking distance. 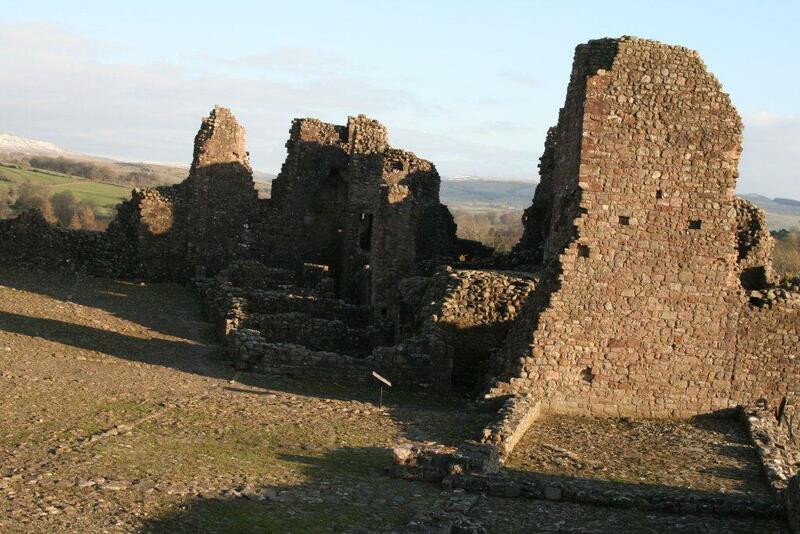 The site of Brough Castle was originally the Roman fort of Verterae. Verterae was built to control the lands of the Brigantes and guard the Roman road linking Carlisle Castle with Ermine Street which today is the modern A66. The Roman fort will have covered a much larger area than the present Brough Castle and is now a scheduled Ancient Monument. The impressive Brough Castle stands on a ridge strategically commanding Stainmore Pass on the site of the old Roman fort. 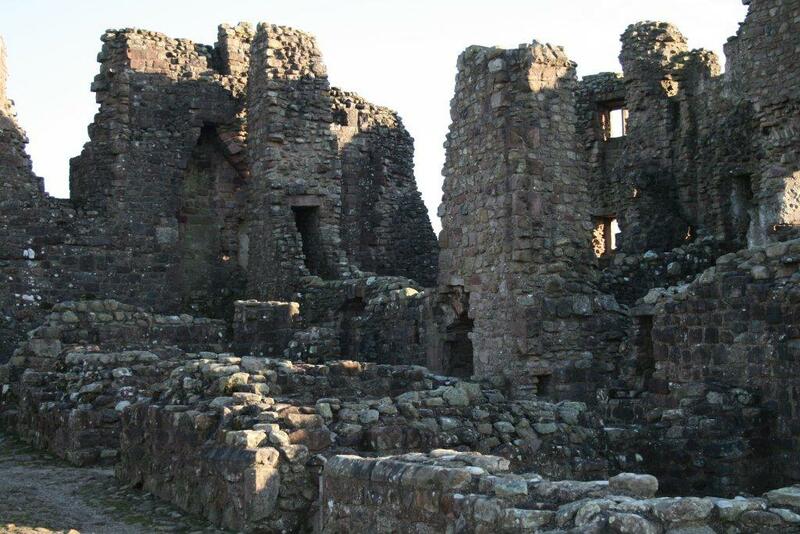 The first castle was built by William Rufus in the 1090’s within the northern part of the former fort. One of the first stone castles to be built in Britain the walls showing the herringbone pattern typical of Norman architecture. 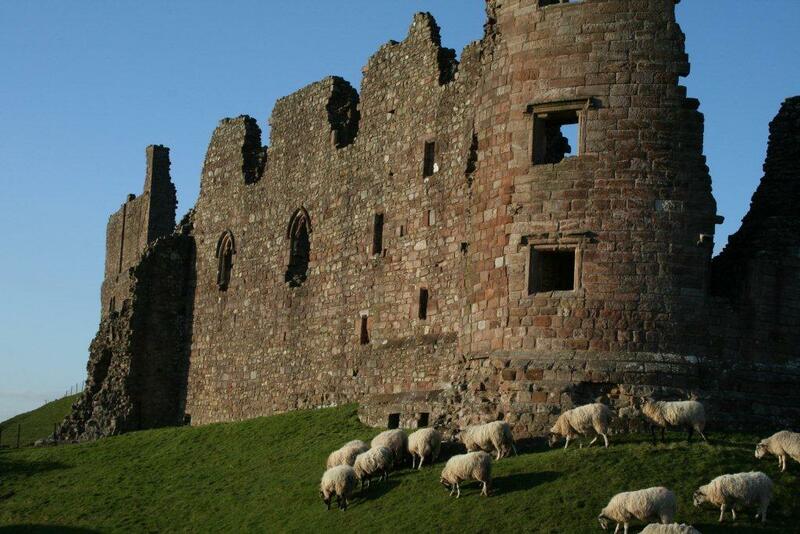 In 1268 Brough Castle passed into the ownership of the Clifford family, who also owned Brougham Castle in the area. Robert Clifford carried out work here and at Brougham Castle building a new hall and semi-circular tower, now known as Clifford’s Tower as a residence for himself. 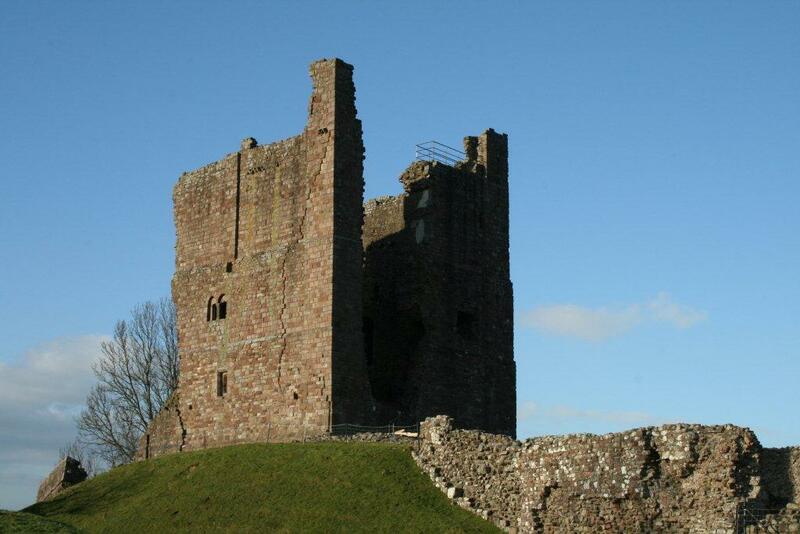 The Clifford family, when visiting in Westmorland, would stay at Brough Castle until an accidental fire in 1521 destroyed much of the building. It was not occupied again until Lady Anne Clifford inherited it in 1643. Lady Anne Clifford undertook restoration work on all the castles she inherited. Following her death the castle passed into the ownership of the earls of Thanet, who made their home at Appleby Castle in Appleby-in-Westmorland. It is from this point in time that Brough Castle began to decline into the ruin you see today, with much of the stone plundered in 1763 when Brough mill was built. The castle is now in the care of English Heritage and is open to visitors with guide books available for purchase from Brougham Castle shop. 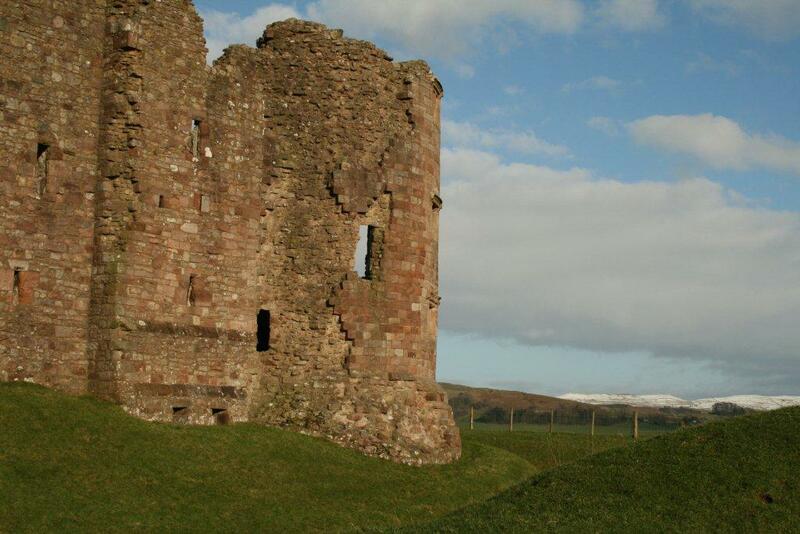 Today it is possible to walk through the gatehouse and explore the ruins of Brough Castle with its imposing stone work and information boards explaining the layout of the castle. The keep that can be seen today is built on earlier Norman foundations and it is believed that the original structure was composed of stone and wood. The present keep was built in the 12thcentury. 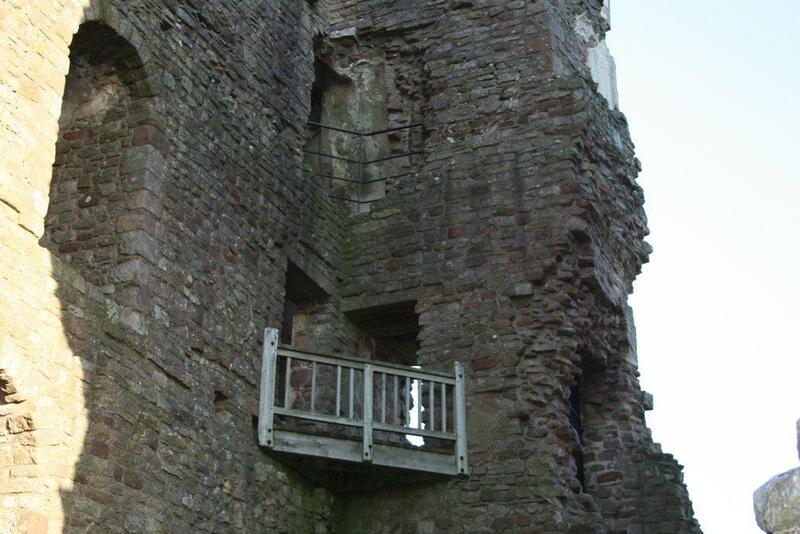 The interior of the keep at Brough Castle has several interesting features that are visible from the ground such as doorways and fireplace settings that were for the upper floors. There are also some remaining structures such as stairs and passageways within the walls that are now inaccessible behind a locked gate. 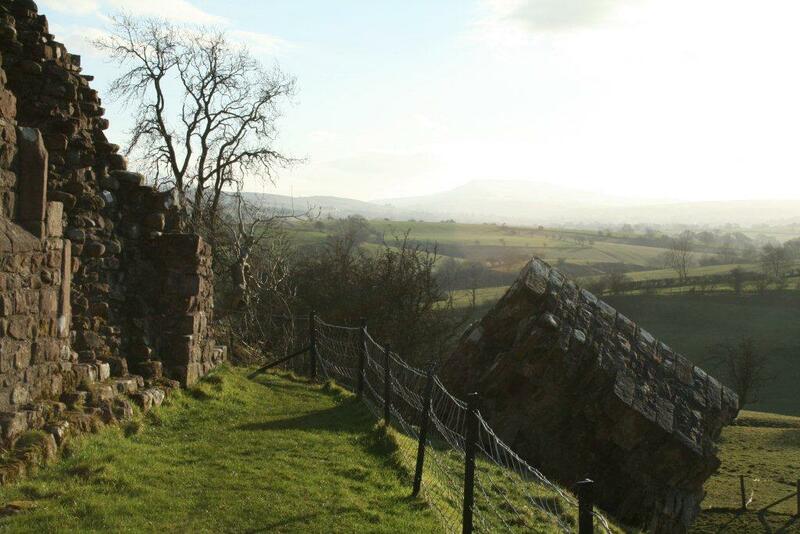 I can recommend that you stand upon the high ground at the castle keep looking out towards the west and Brougham castle and Penrith castle and the stunning views. 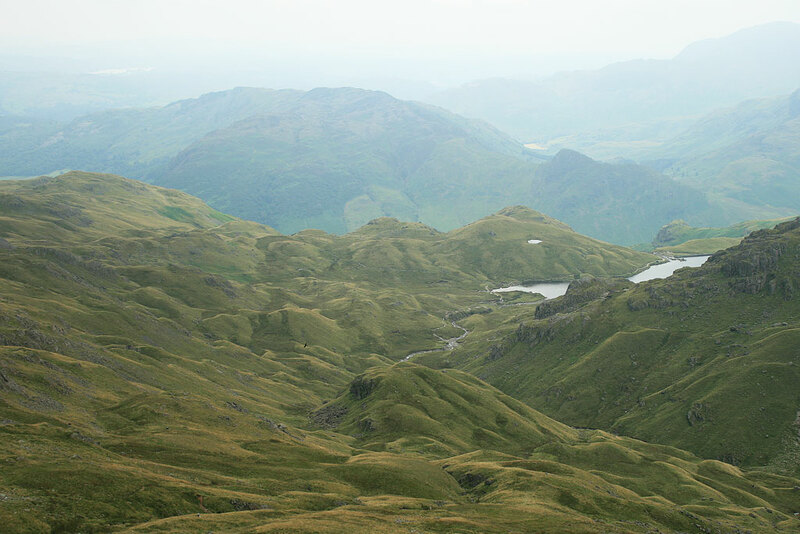 From this vantage point the strategic line of defence becomes apparent along what is now the A66. 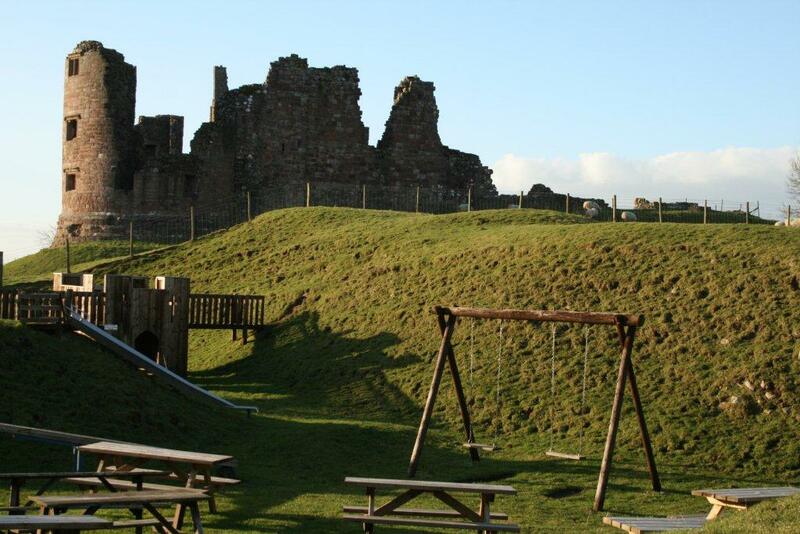 The nice thing that stands out for me at Brough Castle is the simple distinguishing fact that the land upon which the castle now stands is owned by a local farmer who has opened an adjacent farm shop café with a small children’s play area comprising of several slides and swings. The café is but a stone’s throw from the castle walls and makes for a great sitting area whilst you enjoy a coffee and reflect on the history of this ancient fort. Should you wish to see better quality photographs of Brough Castle please visit Brough Castle on our Lake District Walks Flickr account. Within sight of Brough castle walls is the church of St Michaels’s which is very picturesque and there is an exhibition with pictures and text about the region.